Student Lowri Walker is captain of the WLV Women’s team who recently won the BUCS Conference Cup. The 21-year-old Sports Scholar will earn her first cap for The English Universities Women’s Football team at the Home Nations Tournament in Cardiff this month. 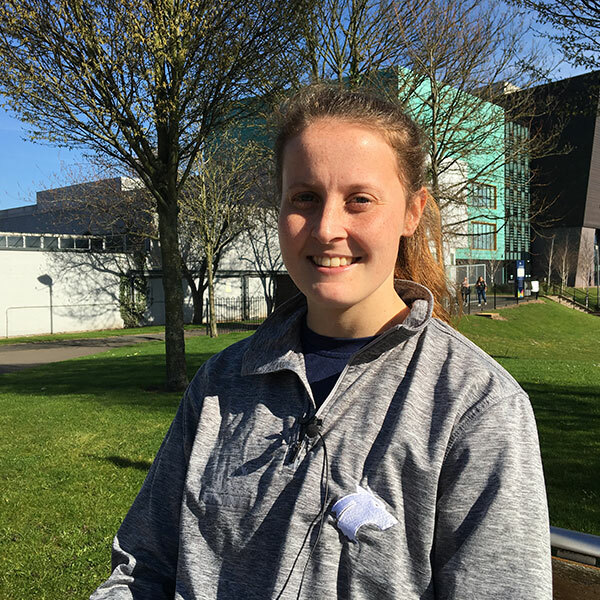 Lowri, from Aberystwyth, is in her third year of a BSc (Hons) Sport and Exercise Science at the University’s Walsall Campus. Lowri was one of a select group of leading footballers from women’s football clubs at UK universities who recently visited Barcelona to take part in a programme of events, tours and training focused on leadership. The Women in Football event, organised by Santander Universities, was designed to help build critical thinking and management skills for female talent, both through sporting and wider leadership activity. The Home Nations is a university sports competition between England, Scotland, Wales and Northern Ireland. It sees teams competing in a selection of sports across two days to crown an overall nation as champion.